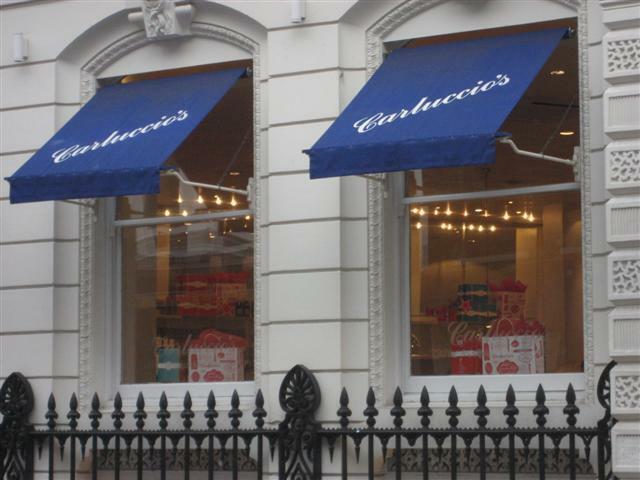 This is Carluccios flagship restaurant and it is spread over two floors. The entrance and interior reminded me of a grand home. It has high ceilings, stone floors and a big spiral staircase. We were seated on the upper level, which looked like the private dining area. There are huge windows that overlook the surrounding streets of Covent Garden. It felt like we were dining in a stately home. The starter of foccacia bread was a big piece. It was a little heavy and plain to have as a starter dish even though it was served with olive oil to dip in. The Arancini Di Riso Siciliani are two fried rice balls served with a red pepper sauce. One of the rice balls has a mozzarella filling and the other has meat ragu. I found that even just one of the rice balls is quite filling but what would complement this dish would be a salad. The Pasta E Fagioli soup is described on the menu as being a thick soup with vegetables, borlotti beans and pasta. It was more of a broth based soup and not as rich as I would have expected it to be. 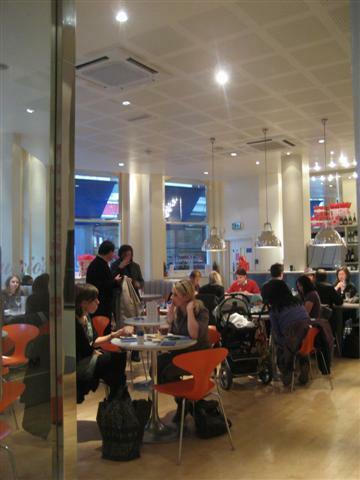 I have tried two different main dishes at Carluccios and definitely have a preference. I would recommend having the Penne Giardiniera. The pasta is served with a nice mixture of courgettes, fried spinach balls, chilli and comes with Parmesan and garlic. The flavours and textures of this dish really work together. I really did not enjoy the homemade ravioli. The filling was spinach and ricotta. This dish was not at all filling. It tasted really bland even though it was served with butter and sage. Also, the side dish of spinach with garlic was average. The Tiramisu is a fantastic dessert. It has the perfect combination of coffee, cream and chocolate. The portion was enough to share. If you fancy something sweet, but don’t really want a dessert, then you should try the Ciocolatta. This is a satisfying thick hot chocolate with frothy milk on top. If you don’t want the spoonable hot chocolate, then you can always ask for extra hot milk on the side and dilute the chocolate down a bit. The cappuccino is good and creamy and a nice drink to have at the end of the meal. Carluccios do not serve soy milk. The staff were really friendly and the service was good. 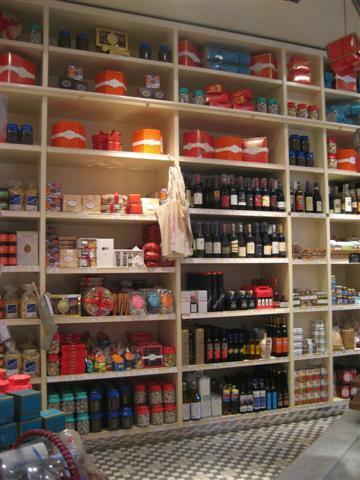 Carluccios have a shop on the ground floor where you can buy lots of Italian goodies and treats. Still one of the best! Prices have risen a little but????? Always tell my pals to go there or else!!! Gardiniera and the sausage pasta are the most famous and sought-after. Ravioli is so bad I wonder it still makes it in the menu after so many little changes.